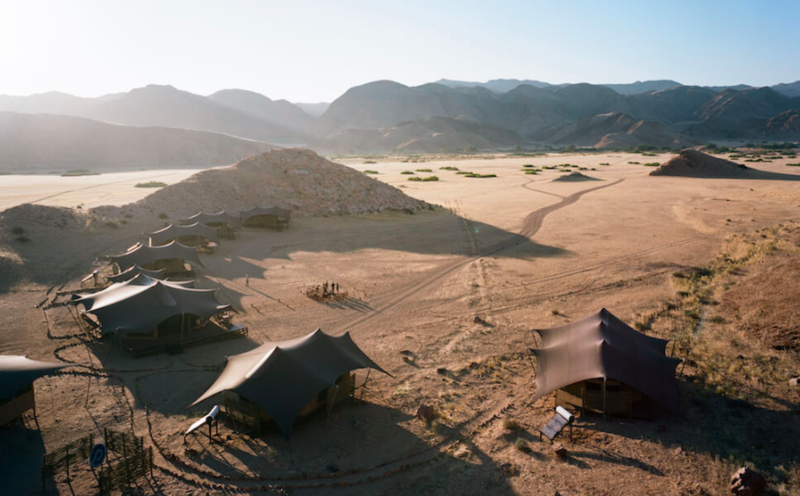 Located deep within Namibia's desolate Kaokoland, a stay at the Hoanib Valley Camp will let you truly experience the wide open spaces of Africa, and the peaceful solitude that goes hand-in-hand with it. The Hoanib Valley Camp is a luxurious tented lodge consisting of six private suites (5 twins and 1 family tented suite) set in a secluded valley surrounded by mountains within the Sesfontein Community Conservancy. The eco-friendly lodge is constructed from natural, locally sourced materials and furnishings, with local tribal craftsmen providing many of the furniture and accessories. 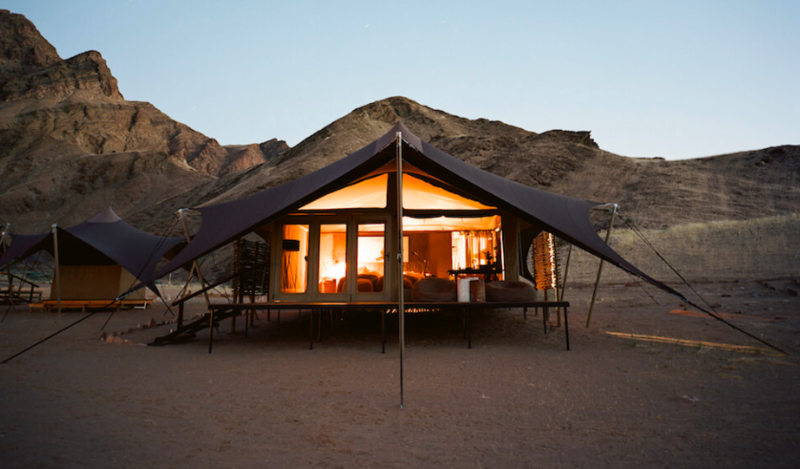 The tented suites have a minimal footprint, sitting on top of wooden decks that provide the perfect platform for sundowners as you gaze across the magnificent rolling dunes and sandy desert plains. The tents all have ensuite bathrooms complete with indoor showers. The lodge runs on solar power, but WiFi is available, and guests can charge their gadgets in their rooms and in the dining tent. Accommodation costs include all meals and local drinks, complimentary laundry service, and daily activities, including game drives and game tracking elephant, giraffe and black rhino to help boost conservation efforts. The Hoanib Valley Camp is open year round, with high season running from 15th June through to 31st October, with peak season being from the 1st August to the 31st August.